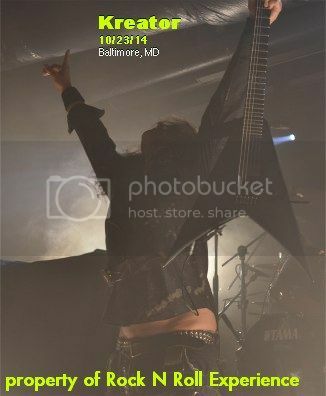 Opening night of the Kreator / Arch Enemy co-headlining tour was a roaring success despite numerous obstacles which stood in the way. Doors opened 45 minutes late due to technical issues and sadly that led to shorter sets from opening acts Huntress & Starkill. I arrived just before Kreator took the stage and what struck me immediately was the fact that the mid sized stage was filled with so much gear that the band had a simple walk way on and off the stage due to the onstage overload of lights & gear. 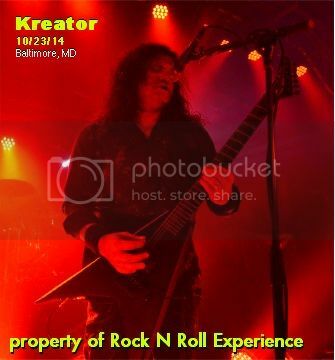 Kreator sounded loud & strong but I’ll admit that I was never a huge Kreator fan until recently. Kreator is a band who’s sound is best described as brash & harsh; their style of metal is intense with German flavor and for me personally I had to be in the right frame of mind to truly appreciate what Kreator do....this night they killed it and the crowd devoured every note they played! It’s interesting to note that some of the crowd did leave after Kreator’s set but the bulk of the crowd did stay for Arch Enemy! 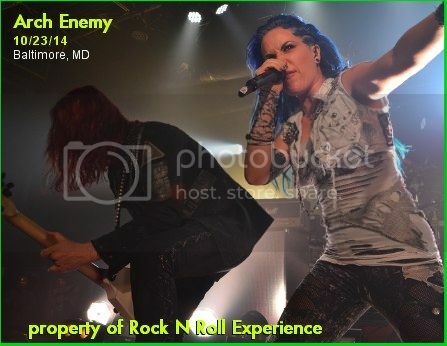 Arch Enemy are a band reinvented due to original singer Angela Gossow & Chris Amott exiting the band. 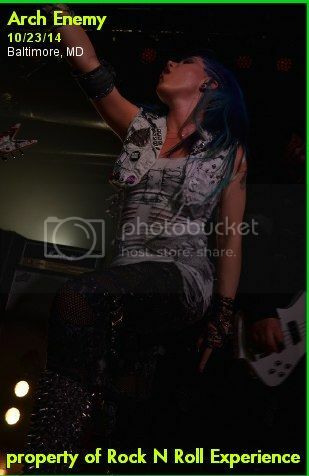 New lead singer Alissa White-Gluz formerly of The Agonist does a great job as front woman for Arch Enemy. Alissa’s energy has a pop flavor and not only does she command the stage but she’s also easy on the eyes. 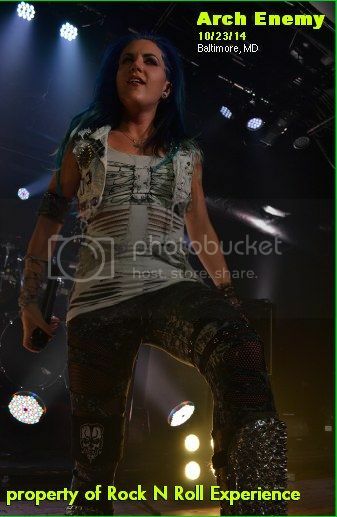 Looking at Alissa’s attire you could see tributes to her boyfriend Doyle on her clothing and Alissa’s blue hair looked cool aside Michael Amott’s fire engine red locks. 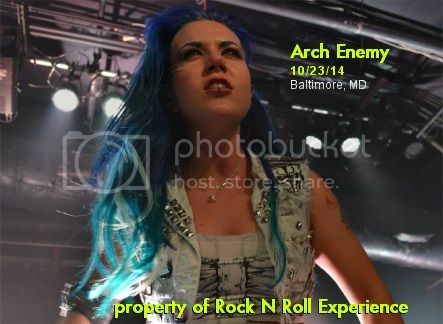 ”War Eternal” is the latest release from Arch Enemy and the new songs performed this night sounded great. Musically Arch Enemy sounds the same despite changing 2 key members ...they’ve maintained the same exact sound, energy, & style. Set wise this was the longest Arch Enemy show I’ve ever seen and they played new tracks alongside the old standards flawlessly. 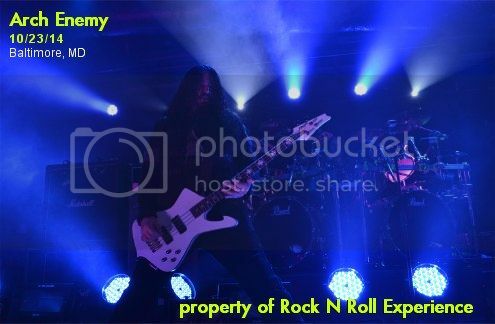 Opening night of the Arch Enemy / Kreator 2014 World Tour was a success and reaffirmed that Metal is still alive despite Gene Simmons comments!